Just when you think you have heard it all, read the worst, and seen the depths of depravity that the left wing in America can sink to, what egregious and merciless acts they are capable of, along comes something that defies decency, journalistic integrity, and any and all explanation. In the May 15 edition of the New York Daily News there appeared on the cover a full page photo of Ivanka Trump that was taken while she was attending the opening of the American embassy in Jerusalem. Looking as beautiful as she often does, a big bright smile on her face and with her left arm extended and her hand motioning toward something for the onlooker to behold, in this case the new embassy. What you might ask is wrong with this image of the First Daughter, well, it’s what accompanied it. Where her hand ended, the tabloid imposed another photo of people carrying what appeared to be the lifeless body of a child. And what made this affront even more egregious was, in large block print, the caption “DADDY’S LITTLE GHOUL”, inferring that a clueless and heartless Ivanka Trump was pointing at a tragic heinous incident and smiling at the death of a child. This photo was one of many that depicted the conflict on the Israeli-Palestinian Gaza Strip border. It was revealed that the Fundamentalist Islamic Group Hamas was involved and that a number reported to be about 58 people were killed by the Israeli military, most were the Hamas fighters. This front page photo was a deliberate and outrageous lie, and yellow journalism at its worse. However it was a feast for the senses of the Trump-hating crowd whose hopes and dreams were shattered that November day in 2016. Following this a number of letters to the editor applauded the News while others berated the tabloid and demanded it apologize to Ms. Trump, in one particular case an individual picketed outside the News’ headquarters in NYC, even confronting the editor-in-chief Jim Rich. What this lone protester, and what most people fail to understand is that there is an underlying reason for the News’ outrageous behavior and that to try and reason with them would be an effort in futility. Therefore without that understanding most will not have the capacity to come to realize why the tabloid cannot be held accountable. And what makes this so astounding, and what some might consider a case of bipolar behavior or cognitive dissonance is that the day prior to the cover story, the News ran an editorial praising the president, which is a rarity, for moving the American embassy. 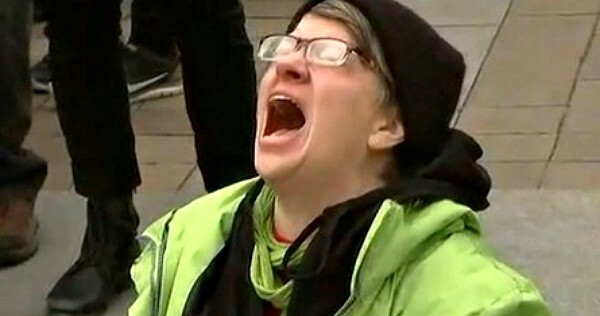 The election of Donald Trump created a monster, the liberal mainstream media in all its manifestations, and the democrat party, the Hollywood celebrity elite, the Left, so filled with bitterness, anger and hatred for this president, has lost all common sense and objectivity and cannot be held responsible for their actions. They are victims of a derangement, a sickness of the soul and spirit. They have been corrupted morally and socially and have succumbed to their inner most demons; honor, decency, journalistic integrity have long since left them, and they are now mere empty vessels where darkness and hate fester. The Russian writer Anton Chekhov wrote “Love, friendship, hate, will never unite a people as much as a common hatred for something”. These groups I mention together have found a common hatred, not for something, but someone. The president, his administration, and his family are all culpable; they are guilty of crimes that have not been proven, created out of whole cloth, and are grist for the mill; they deserve no sanction and must be destroyed. This is what a derangement can cause in the minds of the unstable. So don’t rebuke or criticize them, show compassion and pity for these poor destitute and diminished souls, for as the One crucified on the cross cried out, “Forgive them Father, for they know not what they do”.